Max T. Barnes wrote his first hit song at the age of 19, Vern Gosdin’s “Way Down Deep". He’s been topping the charts ever since. Writing “Let Go of the Stone” by John Anderson “At the Sound of the Tone” by Dukes of Hazard's John Schneider and “Before You Kill Us All” by Randy Travis. 3 Weeks at #1 with “That’s How Your Love Makes Me Feel” by Diamond Rio - and 3 Weeks at #1 with “Love, Me” by Colin Raye. Further credits include the complete score to “A Letter From Death Row” for HBO starring Martin Sheen and Charlie Sheen. That’s nine #1's and hits, and dozens of album cuts with album sales nearing 20 million. Max has been a staff writer and producer in Nashville for nearly thirty years. Working under contract for Sony, Warner Brothers, Polygram, MCA, Island Bound, Curb And Ray Stevens. Early on however he also played lead guitar. Touring with Bobby Bare, Shelly West, Joe Sun, Linda Davis and Tanya Tucker to name a few. He did tours with Reba, Garth Brooks, The Judds, Merle Haggard, George Jones and too many more to mention. Recently, Max has developed his own artist career in Ireland and the UK, with hit singles on himself, and artists he has co-written with and produced in the Emerald Isle. Trace Adkins recorded a killer version of Max’s song “I’m Gone” on his new Broken Bow Records Album, and Max has more cuts in the works. Doug Gill is a Monterey, California native and has a knack for reaching into his own heart and finding the core of emotions that drives us all. Doug might just be writing the story of your life as he has spent the last thirty years writing, recording and performing music in Nashville. He has worked with some of the best writers and musicians on the planet and has had songs recorded by a long and illustrious list of artists, including Patty Loveless, Pam Tillis, Chris LeDoux, Tammy Wynette, Wynonna and the Marshall Tucker Band. Doug's song "I Just Come Here For The Music" was recorded by Don Williams and Alison Krauss on Williams' 2014 album, "And So It Goes", and nominated for a Grammy award. Don also recorded another of Doug’s songs, “Stronger Back” on his next album, “Reflections”. Doug has become an in demand co-writer for International and local artists, with cuts in Bluegrass and Americana in Australia, Canada, and the UK. Over the years, Angela has had cuts by artists such as Wynonna Judd, Suzy Bogguss, Linda Davis, Aaron Tippin, Jessica Andrews, Amy Dalley, Janie Fricke, Kippi Brannon, and Lorrie Morgan. Angela was SESAC writer of the year in 1997 for Stephanie Bentley’s hit, The Hopechest Song.She had a hit on UK superstar, Elaine Page, with the stellar song, I Didn’t Know I Was Saying Goodbye. And She is probably best known for writing, by herself, Lorrie Morgan’s career defining hit, Something In Red. As an artist herself, Angela has had successful singles in the UK, and has released four albums including Live At The Bluebird Café. Angela continues to perform, teach song camps, and write by herself and with other great writers and artists. Shannon Lawson’s big, rangy voice and sharp instrumental picking garners rave reviews and enthusiastic fans wherever he performs. “I want my music to represent what I do live, which is really rock ‘n’ roll bluegrass. People seem to love it because it’s earthy, simple and it rocks.” Lawson became a member of the Muzik Mafia in 2004. Lawson co-wrote former Alabama lead singer Randy Owen‘s 2008 single “Like I Never Broke Her Heart” and James Otto‘s 2008 single “These Are the Good Ole Days”. Lawson's "Look At You," co-written with John Rich was the first single off Big and Rich’s “Gravity” record, and rode the charts for 44 weeks, reaching number 7 on the Billboard chart. Shannon and writing partner, Jon Nicholson have a duo called El Camino. They have an album out and tour extensively. Nashville singer/songwriter, Lauren Lucas, knows first-hand the familiar story of a small town girl moving to a music city, only to have her dream locked away in the vault of a major label. Finally free to release her music in her own way, Lauren partnered with Grammy-winning engineer, Chad Carlson, for her critically acclaimed EP, If I Was Your Girl. Lauren now is a member of the all girl band, Farewell Angelina, produced by Keith Stegall and Jen Kentner. Their EP is released on Dreamlined Records, and they tour extensively. Lauren continues to write with the best of Nashville writers and by herself. Hailing from the darker edge of the folk spectrum, the tried and tested Singer Songwriter path has been given a breath of haunting melancholy with Ciara O’Neill’s debut album ‘The Ebony Trail’. Displaying both strength and fragility in her stunning live performances, this collection of songs showcases Ciara’s ‘beautiful, haunting vocals’, ‘poetic songwriting’ and her ‘complex and subtle guitar playing’. Ciara has written and performed with world class songwriters and artists such as Gary Burr (Christina Aguilera, LeAnn Rimes), Grammy winner Don Henry (Ray Charles, Miranda Lambert), Max T. Barnes (Colin Raye, Randy Travis), Grammy nominated Drew Ramsey (John Legend, India Arie) and Irish musician Ryan McMullan recently on tour with Ed Sheeran, among many others. Ciara’s music has captured the attention of major music supervisors for use in film and TV. This is a major focus of Ciara’s. About twice a year, Ciara spends a month or two in Nashville, co-writing and playing gigs and writer nights. 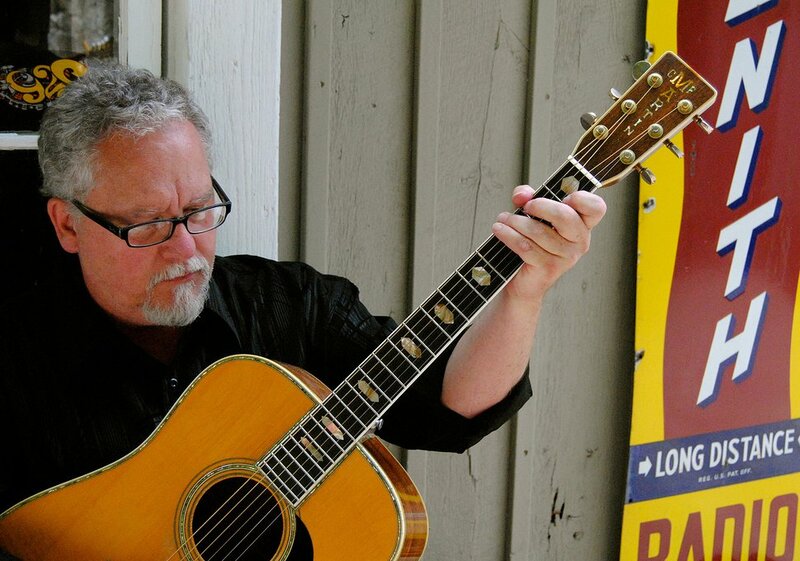 Although veteran Nashville songwriter Charley Stefl has co-written some somber (“The Fool”) country hits over the last 25 years, he has an affinity for rootsy, Americana-inflected sounds as well. His storytelling skills have earned him cuts with, among others, Alabama, Blake Shelton, Garth Brooks, Lee Ann Womack, George Jones, Eddy Arnold, Marshall Tucker Band, Del McCoury Band, the Grascals, Bobby Osborne, Nanci Griffith, Melonie Cannon, Brandon Rickman, the Lonesome River Band, and most recently, Chris Jones and the Night Drivers. Winner of four SESAC Americana Performance Activity Awards, Stefl scored his first #1 for Eleven Eleven Music, a four-week #1 song on the Bluegrass Today charts, “I’m A Wanderer,” recorded by Chris Jones and the Night Drivers. Stefl's "Alone on a Hill," co-written by Thomm Jutz is the first single off The Churchmen's "God Holds Tomorrow." Wendy Waldman has always had a very diverse career in the music industry. She is a critically acclaimed recording artist, as well as a writer of multi-platinum songs for other singers in musical genres ranging from country to pop, film, jazz, children's music and R&B. She is also a teacher, working musician, and one of the first distinguished female record producers. Wendy Waldman has been a teacher, panel member, board member, host, benefactor, and now is herself a student as well, studying to broaden her musical skills. She is a member of the community gospel choir, “Life Choir,” founded and directed by the legendary HB Barnum. She has branched into composition, scoring several short films and writing for music libraries. In the Seventies, Wendy was a member of the band Bryndle, which included Andrew Gold, Karla Bonoff and Kenny Edwards. She was also Linda Rondstadt’s backup singer and sang backup on many smash albums of the eighties and nineties. Perhaps her best known hits are Save The Best For Last, recorded by Vanessa Williams and nominated for a Grammy, and Fishin’ In The Dark, recorded by The Nitty Gritty Dirt Band. 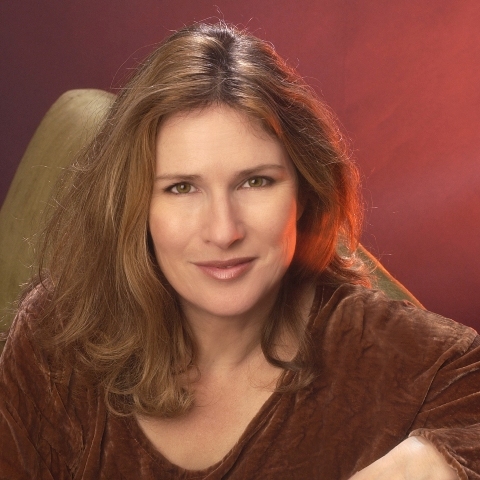 Wendy moved to Nashville in 1982, and later produced New Grass Revival, Suzy Bogguss, The Forester Sisters, Matraca Berg, and most recently, several projects for Polish superstar, Mietek Szczesniak. Wendy now resides in Los Angeles again, writing, producing and performing, coming to Nashville for writing and production regularly.